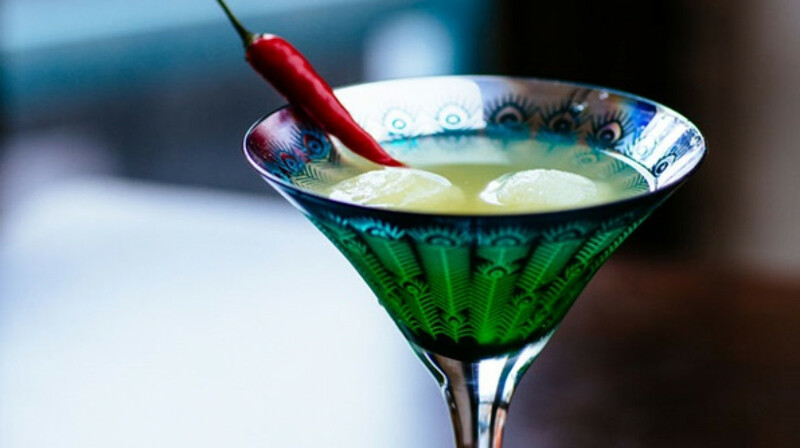 Nestled in the middle of Covent Garden is Café Pacifico, offering you heart-warming Mexican food, a family-friendly atmosphere and of course, the best Margarita in town. 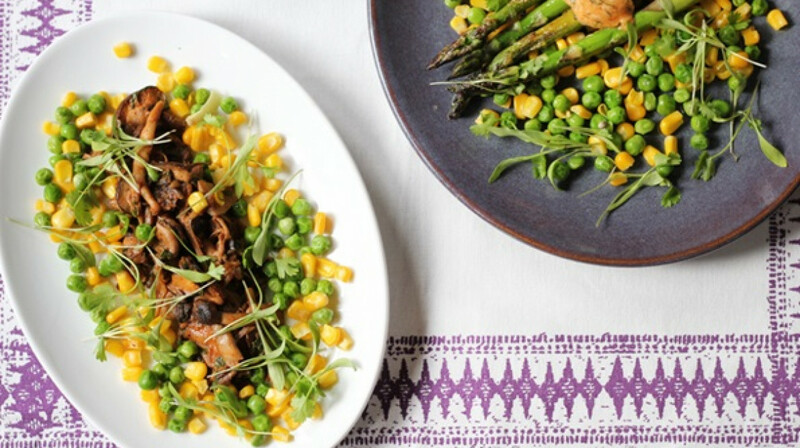 Whether you’re after a relaxed meal with the family or a boozy, tequila-fuelled supper with your mates, Café Pacifico caters for any gathering. 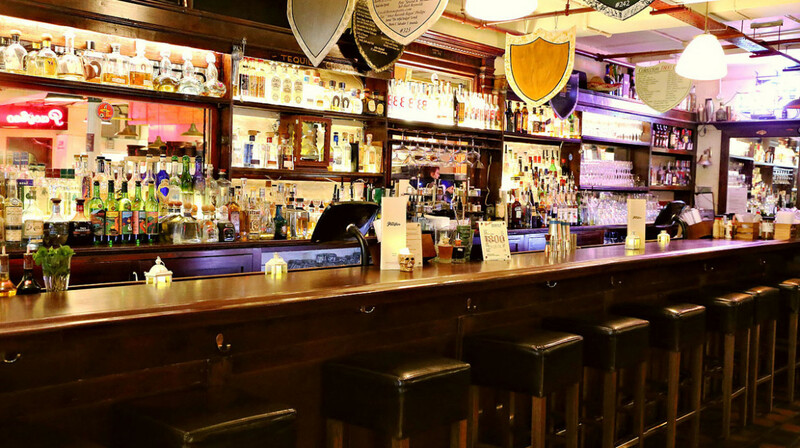 It’s distinctly wooden interior, complete with neon lights and low ceilings keep the atmosphere intimate, friendly and warm. 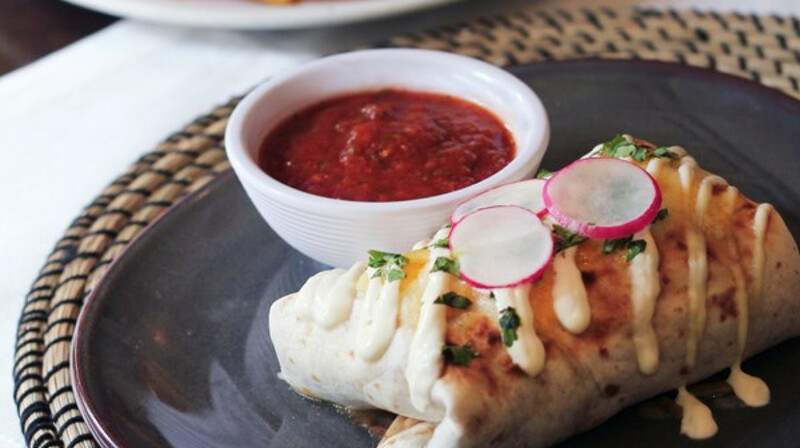 There are plenty of Mexican favourites on the menu to fill your boots. 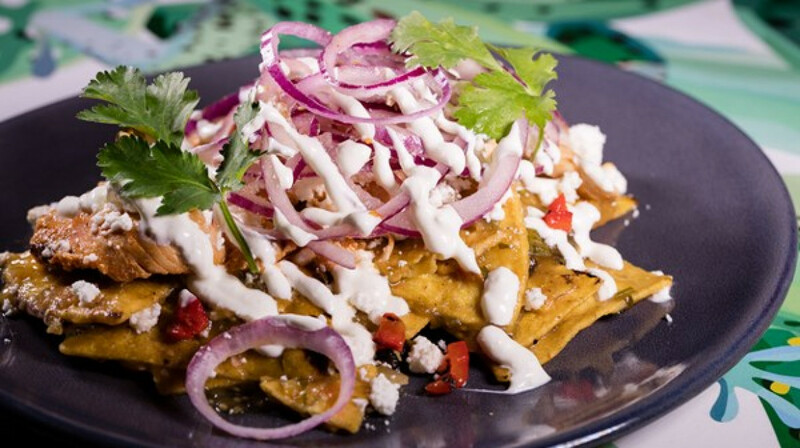 Napkins at the ready; the nachos are a very hands-on affair and you might have to roll up your sleeves if you’ve been tempted by the sumptuous burritos, juicy fajitas or crunchy tacos. We didn’t say it’d be pretty! Luckily, the desserts are a neater affair. Deep fried ice-cream and churros can be eaten with a spoon after all. 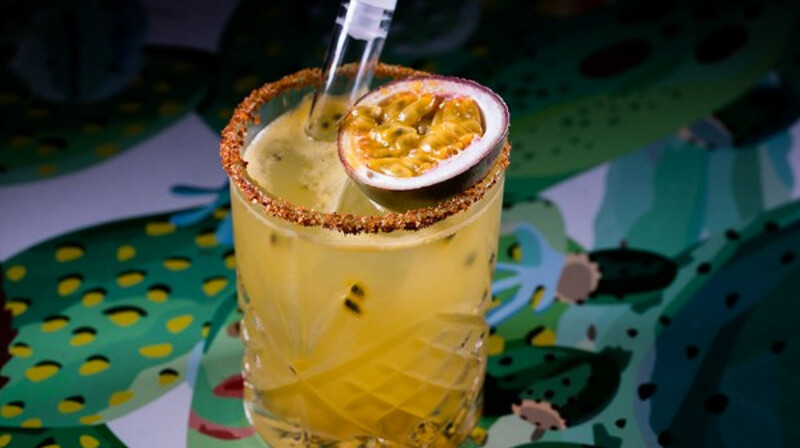 Of course, there is tequila and margaritas aplenty, alongside an extensive list of cocktails with lots of variations on the classic mojito and some Pacifico specials for the more adventurous amongst you. Not content with just a glass? Get a pitcher in! And if you’re not a cocktail fan, there are plenty of beers and wines to go alongside your tequila slammers. Food was delicious with lots of variety on the menu! Good portions sizes. Nachos were tasty. Food was delicious! Service very slow as it was understandably very busy, but great place if you've got plenty of time to enjoy! 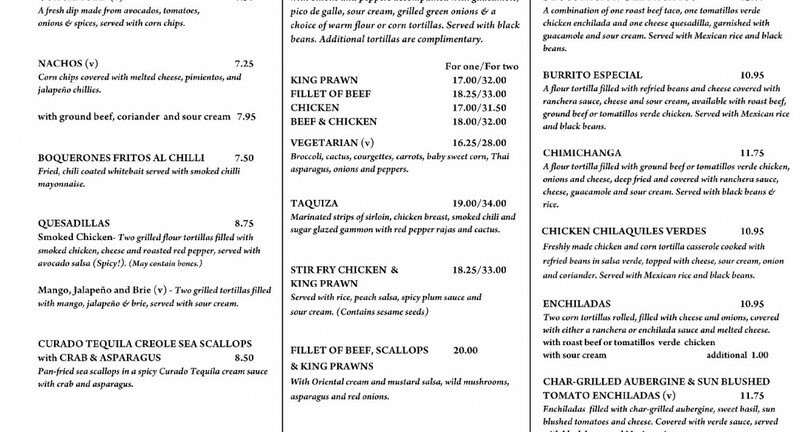 I haven't been to Cafe Pacifico in a few years and they've re-done the menu - food was really tasty! Staff were friendly and attentive. Would definitely consider going back again soon. The food was really good with a very interesting menu. I had the Baja style tacos which were really lovely. They also do great value cocktail pitchers which do serve 8 glasses! The restaurant is quite casual with a great atmosphere. Delicious food, and great cocktails. Would definitely recommend. 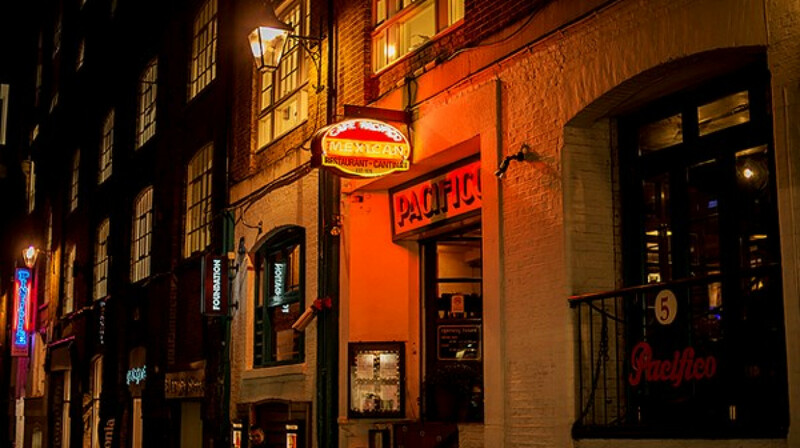 Had a great experience at Cafe Pacifico - food was great with generous portions, and they do fantastic cocktails too! I will definitely return. We had the chimichanga, duck tacos, seabass and prawn tacos, and jalapeño poppers. Food was fine, just nothing special. Also, all of our food wasn’t quite hot, felt like it had been sitting around for a while before being served. Service was fast and we were in and out quick enough to make it to the theatre. Great portion size for the fajitas! 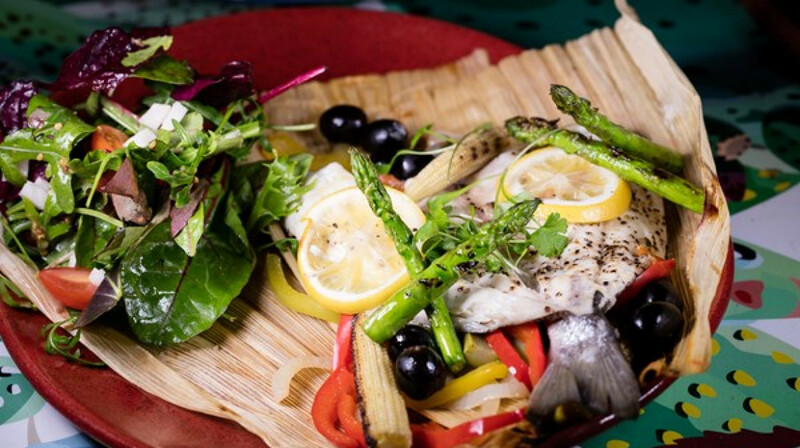 Cafe Pacifico is one of my favourites! The menu is extensive and has many options (meat/chicken/fish/vegetarian). Great cocktail list. I usually come before a theatre and service is always quick and friendly. Food is delicious. Yesterday we shared chicken fajitas (highly recommend) and something I can't spell (double tacos with chicken under black beans). Yum! Excellent food amd atmosphere - catered extremely well for gluten amd dairy free - will go back in the future! Thanks guys. Great meal. Service was a tad slow. 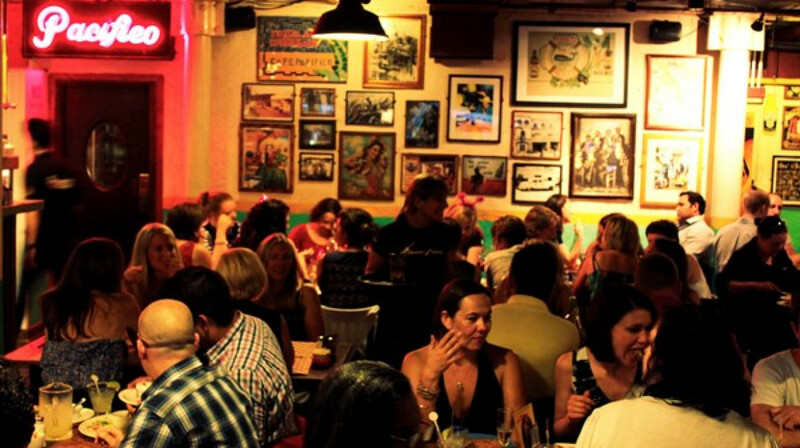 My friend & I had a very enjoyable experience at Cafe Pacifico. The service was excellent with the servers patient and helpful, especially as my friend is allergic to capsicum and had to ensure there wasn't any trace in her main course. The food is exquisite. We both had tacos - I had the duck which I will definitely have again. I haven't tasted anything quite like it before! My friend had the vegetarian tacos which she enjoyed just as much. The only downside to hers - and definitely a huge plus for me - is that the duck tacos came with a side of sweet potato fries which I loved! We had a mango margarita "mocktail" - it was terrific. 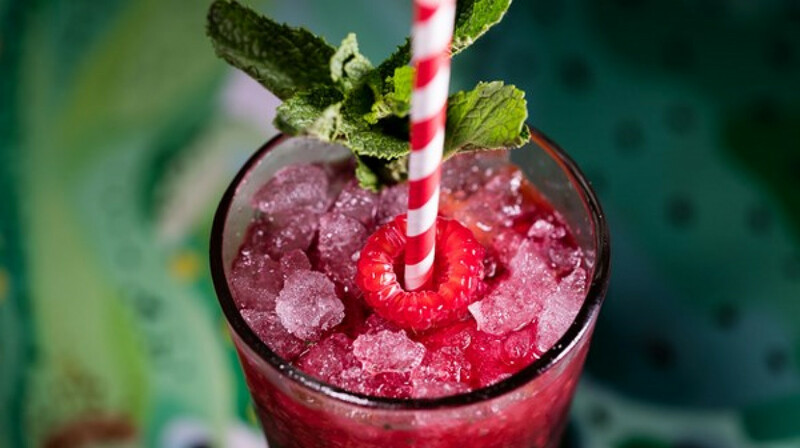 Who needs alcohol when without tastes so delicious?! Great pre-theatre dinner at Cafe Pacifico! I had one of their award-winning margaritas (amazing, you have to try it! ), the smoked chicken quesadillas (yum!) 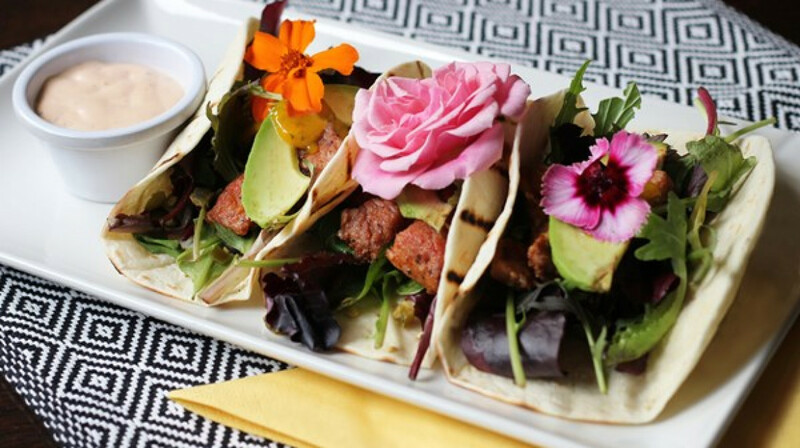 and the fabulous duck tacos (yes, duck!!) for my main. Great food, buzzing atmosphere, we’ll be back!! Fantastic atmosphere and lovely staff- the complimentary corn chips to start were a nice touch! The pork taco was incredibly and comes out presented so beautifully in a big stack you then make into your own tacos would highly recommend. Will be back again . Lovely atmosphere. The restaurant was busy but the staff were very attentive and the service excellent. Food was delicious and my friend's margarita was superb. We arrived for our table and were greeted right away by two lovely ladies; as soon as I gave the name of the reservation, it was confirmed as a First Table booking and we were led to our table. Within a few minutes a lady approached us to take our drinks order. I asked what juices they had, and was offered a non alcoholic raspberry margarita, my friend opted for the original recipe! Both drinks arrived and were delicious- mine was tasty, had fresh raspberries and wasn’t oversweet. We took time ordering our food (I don’t eat meat nevertheless I had a large choice). I chose the prawn and sea bass dish (without the prawns -no trouble changing the choice) and my friend had the cod dish. Both were delicious; we both thought the cod fish was enormous and could have fed two people, whereas mine was a perfect portion. Both deemed tasty. Had we realised the size of the portions we wouldn’t have ordered sides, but decided they sounded so interesting that we had to sample at least two, do ordered the mushroom and plantain sides. Delicious too but weren’t needed! The restaurant filled up within 1/2 an hour of our arrival, and we watched other food being served. Everything looked delicious. 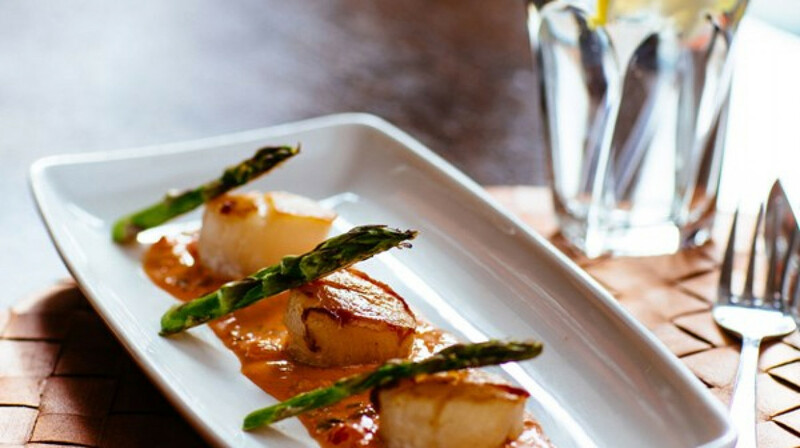 All the staff were very friendly and attentive; that coupled with a great atmosphere and really tasty food means that we both agreed we will definitely return. Thank you First Table for introducing this restaurant to us. 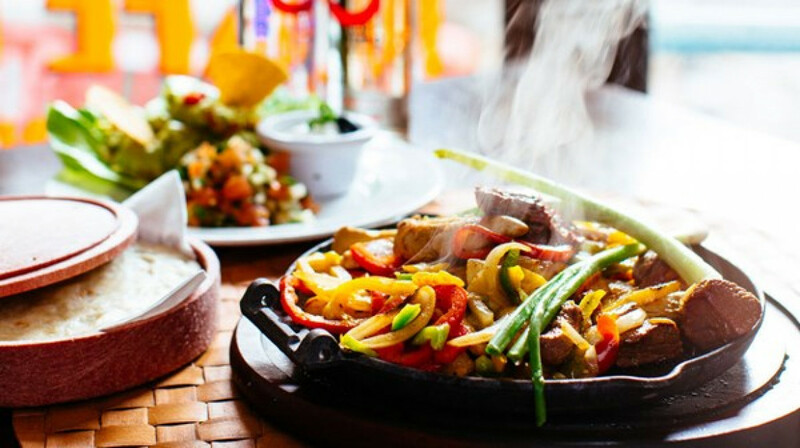 Great casual restaurant with tasty food in good portion sizes. Service was also very fast and friendly. I was very pleasantly surprised! The food was tasty and I liked the presentation. Portions were generous and I would definitely give bonus points for blue corn tortillas. The margarita pitcher was also a good deal. Will be coming back again! Super cute restaurant. Service was friendly and food came out quickly. Thought the food could have more flavour, the salsa was nice and spicy and the complementary chips and dips at the beginning are a great touch! thanks! The food was great and the service was amazing! I would absolutely recommend it and I would go back again. We arrive early and they happily seated us. Food came super quick, we were finished within half an hour. Great drinks and cool atmosphere. Superb food amazing venue and location. Would visit again. We had a lovely dinner at Cafe Pacifico. The complimentary salsa and corn chips on arrival was a nice touch. 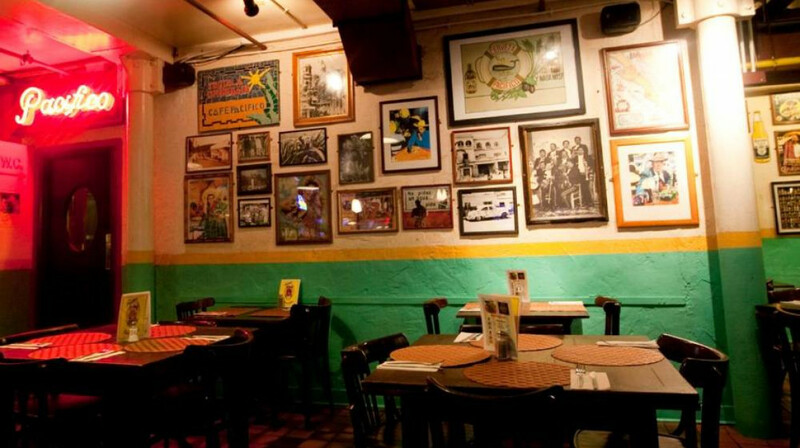 The decor is very inviting, and the staff very friendly and helpful. They directed me to an entirely gluten free menu which was very helpful. The food was delicious, well priced and came out quickly. Would definitely return again! I really enjoyed the dinner at Cafe Pacifico. We had fajitas which were yummy and piping hot. Guacamole was very tasty, maybe a tad small portion. Chocolate brownie was yummy. 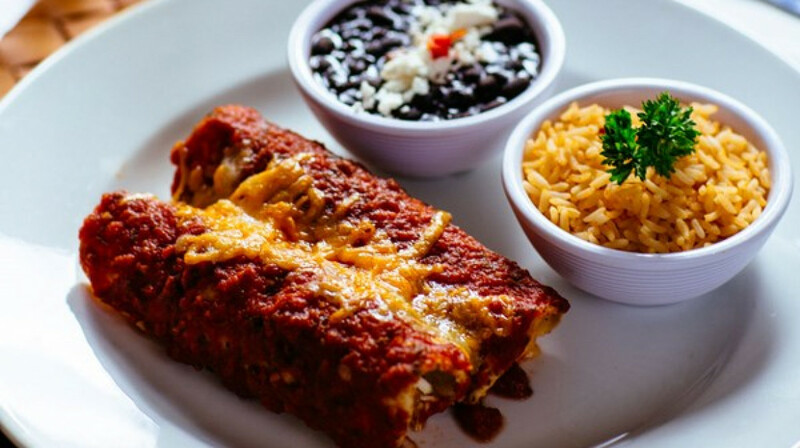 Great, hearty, Mexican food. Loved the deep fried Mexican ice-cream with tequila sauce! !